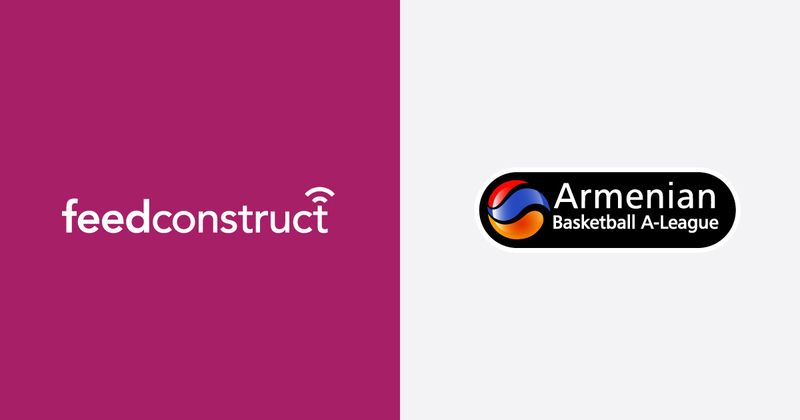 Armenian Basketball A League is entering the global marketplace of content providers by cooperating with FeedConstruct. The two sides have signed an exclusive global partnership agreement. Armenian Basketball A League now will provide over 100 matches of A League per season to the world marketplace. "We are glad to collaborate with FeedConstruct, which offers modern technical solutions to content providers, helping them to enter the global market, which results in the maximization of profits. Their Friendship platform’s offer is the future scheme for the global sports content and sports data industry. "Both sides have high expectations from this cooperation and we are sure that these high hopes will be fulfilled very soon. Let this be the start of a strong and long-lasting relationship between FeedConstruct and the Basketball A League,” said George Arabatlian, Head of FeedConstruct.